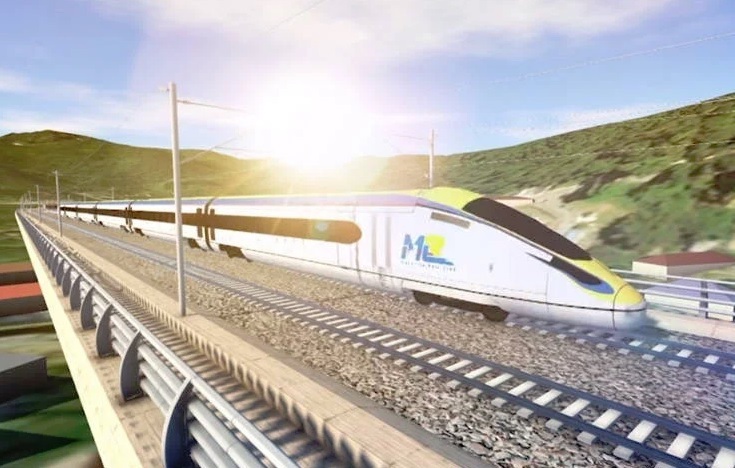 PUTRAJAYA (April 15): The proposed 640km East Coast Rail Link (ECRL) project will be operated under a joint venture (JV) between Malaysia Rail Link Sdn Bhd and China Communications Construction Co Ltd. According to a fact sheet distributed to the media ahead of Prime Minister Tun Dr Mahathir Mohamad's press conference here today on the ECRL, Malaysia Rail Link and China Communications Construction have inked a memorandum of understanding for the management, operation and maintenance of the ECRL network on a JV basis. The fact sheet also said the lower cost required for the construction of the ECRL was due to "comprehensive value engineering exercise and a new southern alignment". "The new alignment will avoid the construction of the 17.8 km long Genting Tunnel from Bentong to Gombak," the fact sheet said. It said the new alignment provides direct link from Kuantan Port to Port Klang to serve as a land bridge between the two ports. "New alignment will avoid the Klang Gates Quartz Ridge in Selangor which is being established as a UNESCO World Heritage site. Leverage on existing Express Rail Link and the future MRT2 SSP (Sungai Buloh - Serdang - Putrajaya) Line with an interchange at Putrajaya Sentral for connectivity to KLIA and downtown KL.